The STEP-NC—AP 238 and ISO 14649 standard is the result of a 10-year international effort to replace the RS274D (ISO 6983) G and M code standard with a modern associative language that connects the CAD design data used to determine the machining requirements for an operation with the CAM process data that is used in creating a machining solution to satisfy these requirements. STEP-NC builds on the previous 10 years effort to develop the STEP neutral data standard for CAD data, and uses the modern geometric constructs in that standard to specify device independent tool paths, and CAM independent volume removal features. STEP-Manufacturing, Team 24 in Working Group 3 (WG3) of ISO TC184/SC4, is developing and validating the STEP-NC standard in liaison with Working Group (WG7) of ISO TC184/SC1 who provides the domain-specific input (ISO 14649) used within the standard. 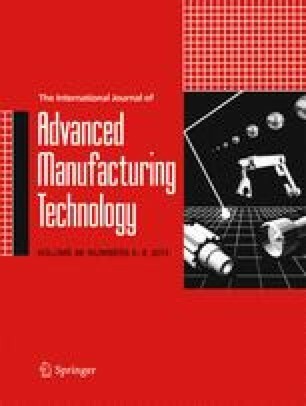 This paper reviews the demonstrations carried out by STEP-Manufacturing over the past 10 years. These demonstrations have been international collaborations between industry, academia, and research agencies. Each demonstration focused on extending the STEP-NC data model for a different application.